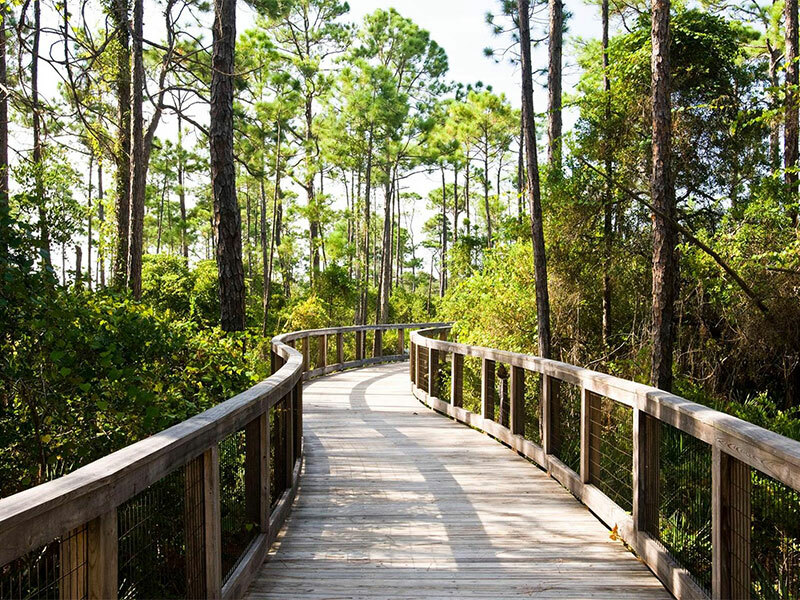 WaterSound, located on the eastern end of Scenic 30A is one of the area’s newer communities with three neighborhoods linked by pedestrian boardwalks designed to protect the natural beauty of the dunes. Origins Golf Club can be found in WaterSound and is open to the public. The golfer in your group can enjoy a Davis Love Golf Design of six-hole regulation, or alternatively play as a 10-hole par-3. This is a great course for beginners and casual golfers, as well as experienced players, employing the ‘short course’ concept. Watersound is easy to reach without leaving 30A from any Dune Allen Realty vacation rental, so grab the golf clubs and make it a day!